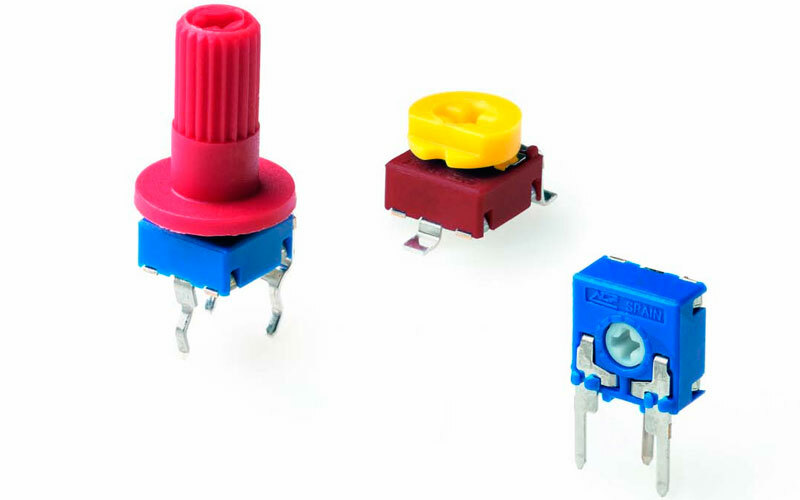 6mm carbon potentiometers with plastic housing and Ingress Protection rating type IP 54 (high level of protection against dust and also against water splashing), according to IEC 60529. Plastic materials can be self-extinguishable according to UL 94 V-0 under request. - Self-extinguishable plastic parts according to UL 94 V-0 under request. - Automotive: Lighting regulation, dimmers. - Measurement and test equipment. - Telecommunication equipment (antenna amplifiers and receivers, videocomm, intercomm).